Epidemiological studies have long indicated a significant link between social relationships and health outcomes and data from psychoneuroimmunological studies raise tantalising questions about the role of relationality in immune functioning. Drawing on work in progress for my doctoral thesis, this paper undertakes a transdisciplinary exploration of the human capacity for forming personal relationships and its possible effects on immune function. Linking theological reflection and neuroscientific data, it explores the degree to which relationality can be considered constitutive of humanness, the role which the process of emergence might play in this and what effect this might then have on health outcomes. Given their seemingly very different questions, pre-occupations and languages, it might be assumed that an almost unbridgeable epistemic divide separates the discourses of theology and neuroscience. There is however a history of ongoing engagement between science and theology, traceable back in recent times to the ‘first generation’ scientist theologians, notably Barbour, Peacocke and Polkinghorne. Their models for dialogue, predicated on understanding theology as a critical realist discipline, attempted to find, in differing degrees, areas of consonance with, or assimilation to, science. Whilst such models have proved a useful tool, post-modern critiques of both disciplines now necessitate further evolution: Not only have modernist assumptions about the objectivity and neutrality of the scientific method been progressively challenged and dismantled by Polanyi, Kuhn and others, but post-modern cognitive pluralism makes it impossible to talk of simply ‘science’ and ‘theology’; both have fragmented into a multiplicity of disciplines with no single, easily mappable terrain. This means that simply noting methodological parallels and areas of consonance or potential assimilation, no longer constitutes an adequate basis for interdisciplinary exploration (Stone, 2000: 417,) . There have been a variety of responses to this challenge ranging from Watts’ model of complementarity (Watts, 1998: 157-180,), to Gregerson’s attempt, via contextual coherence to identify different levels of admissible contact between the two disciplines (Gregerson, 1998: 181:230,). A third model, and the one followed here, is the somewhat different idea of postfoundational rationality (PFR) put forward and extensively developed by van Huyssteen (1998: 13-50; 1999,). Built on the presupposition that a right understanding of evolutionary epistemology facilitates an interdisciplinary account of all human epistemic activity, wherever located (van Huyssteen, 1999: 5,), this model offers a ‘rich and flexible’ reconfigured understanding of rationality (Stone, 2000: 416,). Here, it is the concept of the rational person, rather than of what constitutes an acceptable rational idea, which is pivotal for creating the possibility of dialogue. In re-thinking rationality, Van Huyssteen attempts to chart a course between the Scylla of modernistic foundationalism and the Charybidis of post-modern relativism both of which he rejects as untenable (van Huyssteen, 2006: 12,). He argues instead that epistemology itself must be ‘creatively refigured’. This involves firstly the recognition that all instances of rational judgement and theory choice are in fact part of a ‘fallibilist process of progressive problem solving’ (van Huyssteen, 1999: 12,). Hence rather than being the exclusive territory of science, effective problem solving is part of the commonsense reasonableness by which we all live. Thus a rationality of interdisciplinarity is seen, not as being located in abstract theories of reason but in ‘the everyday and ordinary means by which we make rational judgements and decisions’ (van Huyssteen, 2006: 11,). This takes us to the heart of van Huyssteen’s understanding of rationality, namely that its locus inheres in the embodied person rather than in abstract beliefs. Rejecting modernist notions of linear progress, deterministic probability, absolute truth and standardised knowledge, he defines the epistemic quest instead as to make progress towards intelligibility and optimal understanding. Cornerstones of this approach are firstly the exercise of the epistemic skill of responsible judgment; and secondly the notion of experiential accountability. The former leads to the understanding that, at a variety of intersecting interfaces (see further below) one discipline may provide clues, concepts or different sorts of evidence that can help expand the understandings of another. This is also to recognise the challenge that ultimately lies at the heart of interdisciplinary engagement, namely the realisation that any discipline or tradition may generate questions which cannot be resolved by its own resources alone. Experiential accountability is the understanding that since the experiential dimension is crucial to rationality, any and all epistemic relating to our world is always via the medium of interpreted experience (van Huyssteen, 1999: 231,). Thus in all disciplines hermeneutics and epistemology are inevitably fused and all modes of enquiry are shaped by the epistemic value of experiential accountability. All forms of human knowing differ only in degree and emphasis and all are attempts to deal with aspects of experience, judgments about which take place within communities. 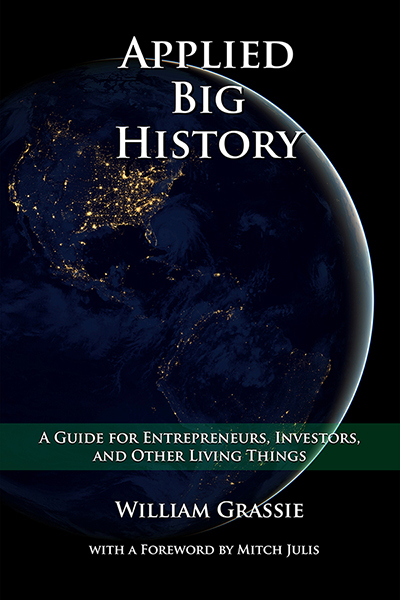 Each community, be it scientific, theological or other is shaped by the history of its own research traditions. Thus the broader traditions in which individuals and communities are embedded shape the questions asked, the assumptions made and the selection of arguments found persuasive. Hence neither science nor theology can lay claim to ‘pure points’ of foundationalist uninterpreted, given experiences (van Huyssteen, 1999: 231,). In reality this means that there is only ‘only a gradual difference between empirical adequacy for science and experiential adequacy for theological reflection’ (van Huyssteen, 1999:13,); theology and science offer alternative (not competing or conflicting) types of interpretation of our various experiences (van Huyssteen, 2006: 15,) and each discipline can contribute to and gain insight from the other. Thus for van Huyssteen, the basis for interdisciplinary dialogue is located in shared epistemic resources and overlapping reasoning strategies; context, tradition and interpreted experience are seen, not as insurmountable barriers, but as key features of rationality in all modes of human exploration. Theology is viewed not as an attempt to replace scientific theory, but as a way of re-describing processes from within a different but equally rational framework. Once these basic tenets of PFR have been understood and accepted, the way is open for the development of a different sort of interdisciplinary dialogue predicated on the understanding that whilst participants remain rooted and connected to their base communities or disciplines, they are not constrained by them. Hence we may come into dialogue with strong beliefs, commitments and even prejudices, but a commitment to a postfoundational understanding of rationality, by enabling the identification of shared resources of rationality between different modes of knowledge, allows us to reach beyond disciplinary boundaries (van Huyssteen, 2003: 162,). Moving forward requires a complex and multileveled approach which is not located within the confines of the disciplines involved but in ‘transversal spaces between them’ (van Huyssteen, 2006: 9,). These ‘transversal spaces’ between disciplines, connected by the intersecting trajectories of shared interests and research foci are thus ones where it might be possible to translate the relevance of scientific knowledge into the domain of theology and vice versa in such a way that both disciplines are enriched and expanded. However they are also places of potential misunderstanding and scrupulous care is needed, for example with the meanings of words and concepts. Nevertheless it is at precisely these places of intersection and tension that useful interdisciplinary dialogue can begin (van Huyssteen, 2006:112, 9,). Furthermore, it encourages and facilitates a focus on concrete interdisciplinary problems in terms of the very specific ‘science’ and the very specific theology involved (van Huyssteen, 2004: 3-4,), a feature on which this project draws. Clearly a key feature of interdisciplinary dialogue in van Huyssteen’s model is the identification of overlapping concerns and intersecting problems where transversal spaces can be opened up. It is a basic premise of this paper that the topic of relationality constitutes just such a space and thus one where theological and neuroscientific insight and understandings can fruitfully engage in dialogue. There is an obvious shared research focus between the disciplines: From the perspective of neuroscience there has been a steadily increasing interest in the social nature of humankind and its neural underpinnings; this has generated a profusion of data that are both tantalizing and puzzling (Adolphs, 2003: 165,). Additionally, within the rapidly expanding field of psychoneuroimmunology (PNI), laboratory studies are generating a variety of data showing alterations in immune function apparently consequent upon social interaction (Kiecolt-Glaser et al., 2002a; Uchino, 2006,). Theologically, the philosophical turn to relationality ushered in by Hegel has led to a resurgence of interest in and a development of ideas in two key areas: Firstly in the role that relationality plays in constituting personhood; in how this relates to biblical understandings and in what a Christian anthropology might look like in the light of this (e.g. Shults, 2003,). Secondly, in an area of foundational Christian doctrine, where there has been a renewed interest in relational understandings of the Trinity and of how these might affect understanding in a variety of other areas (e.g. Grenz, 2004,). Moreover I would contend that interdisciplinary engagement in this area is not just warranted but necessitated by the complexity of the issues under investigation: The development and experience of relationality, and the how and why of its effects on human biological and social functioning and thus on health, is enormously complex. It seems unlikely that it will be successfully unravelled entirely within the boundaries of any one particular discipline. Following van Huyssteen’s approach, I believe that the different, but not incommensurate approaches and understandings of theology and the neurosciences can be mutually illuminating in the move towards developing a better understanding of this complex phenomenon. Neurotheology (a term first coined by Huxley in his 1962 novel ‘Island’ to describe the territory where human ‘wet-ware’ interfaces with the Divine) is a new and developing field of multidisciplinary endeavour aiming to integrate cognitive neuroscience with religion and theology. 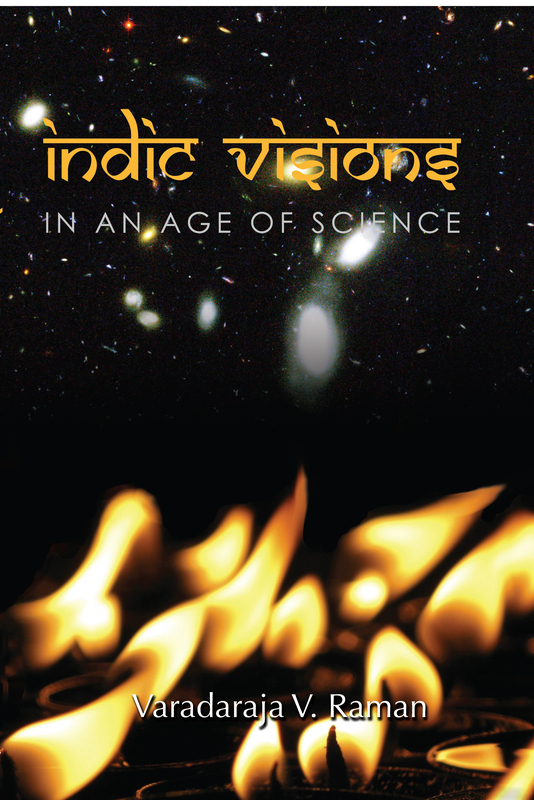 It draws data from neuroscience, religious studies, religious experience, philosophy, theology, psychology and anthropology, envisaging that all these may contribute to it and vice versa (Newberg, 2005: 6492,). The discipline seeks to integrate empirical studies with theoretical development and philosophical and theological reflection. The field has generated significant interest in the lay and academic press. In the case of the former, this is often enthusiastic but poorly understood with a consequently simplistic appropriation of data; with the former, not all of it has been entirely supportive, a response that seems to owe much to the modernist view that sees neuroscience and theology as incompatible disciplines. To date, the primary focus has been almost exclusively on brain activity during religious and spiritual practices. Much of the interest here has been directed towards the religious ‘experiences’ associated with these, with neuroimaging studies looking at areas of increased or decreased brain activity (e.g. Davidson et al., 2003; Newberg and Lee, 2005: 460-489,). However there is also a small corpus of work, mostly small-scale studies, looking at variations in hormonal and immunological function in relation to spiritual practices such as prayer, confession and meditation; these have generated some sharp discussion about the role that ‘faith’ might play in health outcomes (Koenig and Cohen, 2002; Sloan, 2005: 7-11,). Expanding the field: Neurotheology, relationality and health. One criticism that can be leveled against the development of the field thus far is its limited range: In concentrating almost exclusively on individual religious ‘experiences’ and neural substrates, its focus rather narrow, both neuroscientifically and theologically. Spirituality extends far beyond individual ecstatic experiences to comprehend other areas of life; likewise neurobiological function is much more than brain activity in specific loci. 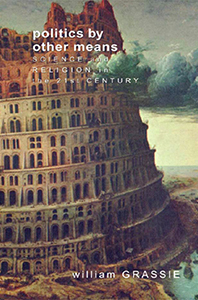 If neurotheology is to work towards its stated goal of integrating the perspectives of religion and science around the nexus of neuropsychology, and of playing a ‘a critical role in future theological and religious study’ (Newberg, 2005: 6495,), then it needs to broaden the range of areas in which dialogue is being developed and carried forward. This paper seeks to address this issue by expanding the debate into the field of relationality and health. These both not only play important roles in human experience and in the Christian world view, but also seem inextricably linked with cognitive and PNI functioning. By developing a ‘transversal space’ dialogue between theology, cognitive neuroscience (CGN) and PNI, which explores the human ability to develop interpersonal relationships and the role that these might play in affecting immune function, it expands the move of neurotheology into the area of health, albeit in a different way to the studies alluded to above. By so doing it aims to begin the development of what I have termed ‘a neurotheology of health’. It is envisaged that this might enable the development of a more relationally-orientated model of health which takes account of the complex role which different aspects of relationality play in the generation of health outcomes. Firstly, the argument is made that although certain necessary elements for establishing external relationships are hard-wired into the brain, this is not, in itself, sufficient to enable the realisation of interpersonal relationships. Instead the capacity for personal relatedness emerges out of complex interactions between these systems, other cognitive processes and the external environment. .Theologically, it is contended that such a capacity is an integral and significant component of what it means to be a human person made ‘in the image of God’. Secondly and consequent upon this, it is reasoned from the intrinsic properties of emergent systems, that the experience of relationality can exert causal effects on PNI systems. Finally it is argued from theological understandings concerning relationality, that the extent to which the capacity for relatedness is realised, and the form that this realisation takes, may determine the nature of these PNI effects: both degradation and enhancement of immune function being potential outcomes. Psychoneuroimmunology (PNI), though relatively young, is an established and expanding discipline generating copious experimental data. In recognising and studying the multiple connections existing between behavioural, neural, endocrine and immunological processes, it represents a swing away from the systematised and dualistic understandings which have dominated medical thinking since Harvey and Descartes. What were previously regarded as totally separate systems are now increasingly understood as components of a single, integrated defence mechanism, in which interactions between the systems are as important as those within the individual systems themselves (Ader et al., 1995: 102,). The field is substantial and increasingly influential with a high output of both animal and human studies (Kiecolt-Glaser et al., 2002a,). This section of the paper deals with those data which focus on relationality as a potential factor affecting immune function. These are extensive, looking at a wide range of variables, both in the aspects of relationality examined and the immune components studied. It is thus far beyond the scope of this particular paper to provide an exhaustive and detailed review of data; however the main categories will be highlighted and discussed and some exemplar papers cited. In order to facilitate the clarity of the arguments presented in the paper, the section begins with a brief sketch of some basics of PNI function. PNI complexity also leads to issues of data gathering and interpretation which need serious consideration and these too are briefly outlined before the data themselves are reviewed. Galen’s famous insight, that melancholic women were more prone to tumour development, anticipated what PNI has now made plain viz that there is an intimate connection between the nervous, endocrine and immunological systems. Not only is the immune system hardwired to the central nervous system (CNS), but communication between the two is bidirectional, with each exerting significant effects on the other (Ader and Kelley, 2007,); although less is known about how cellular components of the immune system activate pathways and cascades within the CNS. Both systems monitor the internal and external environments, evaluating possible threats and initiating appropriate responses. The immune system itself comprises a number of organs and an array of cellular components, all with different functions, and which circulate via blood and lymphatic systems. Immune cells intercommunicate using a wide range of molecular signals as well as receiving signals originating outside the immune system in the CNS. Cross-talk here is mediated principally through the hypothalamic-pituitary axis (HPA) and the autonomic nervous system (ANS). Detection of perceived stressors activates specific loci within the brain leading to the release of hormones and neuropeptides which, in turn excite response at both organ and cellular level. In the former case this leads to events such as a rise in blood pressure or heart rate, in the latter to the initiation of various cascades which affect components of the immune system and thus modulate its function. The immune system is known to exhibit both innate and adaptive responses (Holland and Vizi, 2002: 425,). The first is non-specific, enabling a response to previously unmet pathogens, and the second, characterised by memory and specificity, a speedy and targeted response to previously encountered ones. The latter is further subdivided into responses mediated directly by immune calls (cell mediated immunity) and those dependant on antibodies released from immune cells (humoural immunity). Another key cellular component of the immune system are the cytokines. These proteins act principally as intercellular moderators of immune-generated inflammatory responses, regulating both duration and extent. They are subdivided into pro- and anti-inflammatory groups, the former amplifying inflammatory reactions, the latter reducing them. Pro-inflammatory cytokines are increasingly understood as playing a significant role in a range of pathological processes. Here then we have an integrated system in which a wide range of neurological, biochemical, endocrine and cellular components communicate and interact in a complex, multidirectional way in response to a diverse range of stimuli. These interactions have profound effects on bodily functioning from the cellular through to a whole organism level and can produce both up- and down-regulation of immune function. Healthy immune function is a key aspect of good health; hence any maladaptive alterations have the potential to influence the onset, progression and severity of a wide spectrum of diseases (Kiecolt-Glaser et al., 2002b,).. Conversely, up regulation may be protective against some pathological processes. Many of these different elements can and have been measured in relation to a range of variables – hence the huge array of different data which PNI studies have generated. Given the epidemiological data linking social support and wellbeing (e.g. House et al., 1988: 540-545, and see further below ,) one focus of research interest has been on the role which social interaction might play in modulating immune function. It is these data which are of particular interest in this exploration. As already indicated, great care must be taken, when drawing on data from another discipline, to properly understand both its meaning and what can legitimately be inferred from it. PNI studies are not only complex, they are also fraught with methodological difficulties (Robinson et al., 2002: 165-175,). It is thus vital for any argument attempting to build on these data to be aware of their limitations. Firstly it must be noted that the vast majority of the studies are correlational in nature: Thus although they may raise evidence of a relationship between variables studied, statements about direct causality are inadmissible; these require additional evidence from experiment-based studies. Secondly, a large number of factors are known to be immunomodulating, hence control for confounding variables is difficult; also, since the processes under review are highly complex, there is the additional problem of disaggregating various elements in these interplays. Finally, when trying to collate material from a wide range of studies, there are issues to do with how variables are operationalised: thus for example, a key term of interest here is ‘social support’, but there is a marked heterogeneity of approach across studies as to how this is understood and measured. The complexity of the neuroendocrine variables and their possible interactions itself also presents difficulties for interpretation, since any study can only supply information about a small portion of the processes which may be involved. Thus definitive determinations of the degree of overall effect on immune functioning are difficult. Moreover, since system events continuously modify events at cellular and higher levels, with consequent effects on other variables in both the system and the external environment, it is likely that results from even the best constructed experiments may differ significantly. These factors, taken in conjunction with the correlational nature of the studies, means that there is a big leap from laboratory data to any clinical inferences about health-related effects. Thus it is impossible to conclude, on the basis of PNI studies alone, that a particular variable such as social support directly affects health outcomes via immune modulation. However this is precisely where and why a transversal interdisciplinary exploration is being advocated, since I believe that data and insights from CGN and theology can illuminate this area, providing evidential support of a different kind for the hypothesis proposed. The importance of social networks and engagement has been well documented in epidemiological studies, and social relationships are deemed to have a causal effect on health outcomes: Those with a higher level of social contact (both quantitatively and qualitatively) are more likely to live longer and maintain better health. The seminal study by House (1988: 540 – 545,) showed that the health risks associated with impoverished social interaction were comparable, in terms of statistical effect, to those associated with smoking, obesity and hypertension, suggesting that social isolation constitutes a major risk factor for both morbidity and mortality. One of the explanations offered for the protective role of social relationships in health terms is that they offer protection against stress, something which is known to be a potent moderator of PNI function. Various metanalyses indicate that while acute stress produces adaptive up-regulation of PNI systems, chronic stress depresses both cellular and humoural immunity (Segerstrom and Miller, 2004: 601-630,). Moreover there are now sufficient data to establish that immune modulation by social stressors leads to actual health changes (Kiecolt-Glaser et al., 2002a: 15-28 ,), the strongest evidence here relating to wound healing (Broadbent et al., 2003: 865 – 869 ,) and susceptibility to infectious diseases (Cohen, 2005: 123-131,). Such studies however tell nothing about the actual process behind this effect. There are two possible explanations: That social support reduces the perceived severity of stressors, in other words that the modulating effect occurs prior to excitation of PNI responses (i.e. ‘stress-buffering’); or alternatively that there is something about the experience of relatedness itself that directly affects PNI systems. It is this latter option which this paper will explore through its interdisciplinary engagement. Studies have looked at psychological, endocrine and immunological components of PNI function in relation to social support networks. A number of large scale reviews deem social support to be reliably related to beneficial effects on cardiovascular, endocrine and immune systems (Uchino, 2006: 377-387,) with Uchino concluding that the link between personal relationships and immune function is ‘one of the most robust findings in PNI’ . Supportive networks appear to correlate with a greater sense of well-being, improved coping abilities and a lower rate of depression and anxiety (Uchino et al., 2004: 123-128 ,). Positive primary relationships also appear to reduce cardiovascular stress responses (Uno et al., 2002:243-262,). Effects on both cell-mediated and humoural immunity have also been demonstrated, with good social contacts consistently correlating with up-regulation (Moynihan et al., 2004: 950-953,) and poor ones with down-regulation (Pressman et al., 2005: 297-306,). A converse should also be noted here, namely that being a provider of support, especially in the long term, can be detrimental to immune functioning, leading to down-regulation (Baron et al., 1990: 344-352,). Studies of spousal care givers in dementia have found them to show depressed cellular immunity and higher rates of depression and infectious disease; these effects are most marked in those chronically stressed and who receive lower levels of support themselves (Kiecolt-Glaser et al., 1991: 345-362,). There has also been some work looking at the effects of social support on immune function in cancer sufferers. Here studies looking at gynaecological malignancies have shown a correlation between good social support and lower levels of cytokines implicated in oncogenesis (Lutgendorf et al., 2002: 808-815,); Other studies have shown a similar correlation with enhanced levels of immune components active against malignant cells (Levy et al., 1990: 73-85,). Another significant group of studies are those looking at PNI function in married couples. Marital/partner relationships are a central source of social support and are powerfully linked to an individual’s emotional and psychological functioning (McGuire and Kiecolt-Glaser, 2000: 136,). Marital discord has been correlated with both poorer wound healing and raised levels of pro-inflammatory cytokines (Kiecolt-Glaser et al., 2005:1377-1384,). Moreover, disruption of close or partner relationships whether by bereavement (Bartrop et al., 1997: 374-377,) or divorce (Kiecolt-Glaser et al., 1988: 213-229,) has shown correlations with a depression of immune functioning as measured by a variety of markers. Key studies here have been ones looking at aspects of couple interaction: Married and recently separated or divorced couples, newlyweds and established couples, have all been studied interacting, particularly under conditions of stress, and various endocrine and immunological markers measured. Such studies have shown that marital or relationship ‘quality’ (variably operationalised) correlates with a variety of markers. Typical findings are that recently separated couples have significantly poorer immune function as indicated by a variety of functional measurements; as do those couples with ‘poorer quality’ marital relationships. Immunological changes were not always large but were consistent (Kiecolt-Glaser et al., 1987: 13-34,). Similarly, separated or divorced men had significantly impaired immune responses in a variety of assays when compared with matched controls (Kiecolt-Glaser et al., 1988: 213-229,). Studies looking at behaviour during conflict resolution tasks have demonstrated both a down regulation of immune function and an increase in stress hormones in those couples with more abrasive interactions (Kiecolt-Glaser et al., 1993: 395-412,). This effect is seen in both new (Malarkey et al., 1994: 41-51,) and established marriages (Kiecolt-Glaser et al., 1997: 339-349,). In contrast, spousal support and satisfaction appears to positively moderate both hormonal and affective responses to conflict discussion (Heffner et al., 2006: 317-325,), the effect again demonstrated in both new and long-established marriages; in the latter group, this was particularly marked in the men – possibly indicating a relative impoverishment of their other social networks. Finally, and intriguingly, PNI measurements might foreshadow later relational changes: One large study looking at immune variables in response to conflict discussion in couples in the first year of marriage and after ten years found that initial neuroendocrine function measurements were related to marital dissolution and satisfaction 10 years later (Kiecolt-Glaser et al., 2003,). In summary, and bearing in mind the methodological caveats mentioned above, PNI studies do appear to provide evidence that aspects of interpersonal relationships modulate cardiovascular, endocrine and immune function in a variety of ways resulting in both up and down regulation of systems. Over a wide range of studies, close and supportive relationships consistently correlate with lower levels of stress hormones, stronger immune responses (as measured by a variety of parameters), decreased risk of infection and better wound healing. Conversely, social isolation and negative or acrimonious relationships are consistently associated with raised levels of stress hormones, poorer immune function (as measured by a number of variables) and higher morbidity. What is not immediately deducible from these data is how this effect is mediated. One candidate is the idea that social relationships provide a stress-buffering effect, in other words an indirect effect. Here the primary locus of action is thus prior to CNS excitation: the perceived severity of the stressors is lessened, CNS response is moderated and PNI effects ameliorated accordingly. However a second possibility is that the functional response of PNI systems to CNS stimulation is being directly moderated in some way, independent of stressors and other variables. The idea that there may be both indirect and direct effects at work is not a new one (Cohen and Wills, 1985: 310-357,) and studies correlating social support with reinforcement of components of both innate and acquired immunity (Miyazaki et al., 2005: 30-37,) suggest social support affects immune function in a way consonant with both stress-buffering and direct effects. However no studies have as yet explored possible mechanisms for the latter. The contention of this paper is that the actual experience of personal relationships – the extent to which the human capacity for personal relatedness is expressed and experienced – might be a candidate for this role by contributing directly to immune modulation. As already noted, a research program may well raise questions which cannot be answered within the confines of its discipline. Given the huge complexities of PNI function and the methodological and interpretational difficulties, this would seem to be just such a case. However I believe that a transversal space exploration of the concept of relatedness, in which these PNI data are combined with understandings from both CGN and theology, can provide evidential support of different kinds for the contention made and enable the development of a possible explanatory framework. If such an explanation can be thus supported, then it has implications for our understanding of the concept of health and of the role that relatedness plays in this. This paper therefore moves on now to explore cognitive and then theological understandings of relatedness to see what insights these can contribute to the development of the proposed thesis. Spinoza famously categorised man as ‘a social animal’, an understanding which has extended across both times and cultures. Social cognition is a complex phenomenon and there has been steady growth of interest in its neurobiological underpinnings generating a wealth of intriguing data. On the one hand, neural regulation involves mechanisms which are innate, automatic and cognitively impenetrable; on the other, it uses mechanisms that are acquired, contextual and volitionally-based. Data also suggest that ‘social’ is not just what we are by virtue of innate aspects of brain structure; but that the social interactions these enable, themselves play a key role in how neuronal connections, and thus ultimately higher brain functions are developed and shaped (Grossmann and Johnson, 2007: 909-919,). This section of the paper reviews current understandings about key mechanisms involved in social cognition, and discusses whether and how these can produce the capacity to express and experience relationships. It is here that the theme of emergence comes to the fore and I will argue that there are grounds for understanding this capacity as an emergent feature of cognitive function. If it can be so understood, then the idea of downward causation (vide infra) becomes operational and may offer some illumination on the PNI data discussed above. As with PNI, the experimental field comprehends a huge range of studies producing sometimes conflicting results and theories. It is thus similarly beyond the scope of this paper to give a detailed account of these, but the main areas will be briefly highlighted and representative studies referenced. Once again, in keeping with the interdisciplinary issues of understanding and clarity already articulated, the section begins with two very brief overviews: Firstly of key aspects of neural function which are crucial to understanding the field and thus to subsequent discussion; and secondly of issues connected to data interpretation. The brain consists of vast numbers of neurons, aggregated into networks, which interact with each other both locally and at a distance by means of chemical and electrical transmissions. These networks facilitate the recruitment of information from anatomical distant sites within the brain and its synthesis into complex cognitive processes. Neuronal circuit firing patterns (‘neural maps’) serve as mental ‘representations’ which store information about the events to which they are responding. Even simple networks with only a few neuronal connections have an enormous number of variables and control parameters. Since the human brain is estimated to contain about 100 billion neurons, each connected via networks to about 10,000 others, this adds up to a system of staggering complexity providing almost unlimited potential for the development of complex, multileveled and re-entrant firing patterns. Cognitive processes typically involve decoding and re-assembling of input data, adding content (for example emotional) drawn from memory. Neuronal systems are capable, under the influence of neurotransmitters released on activation, of continuous change and development in response to the firing patterns they undergo. Plasticity depends not just on genetically encoded elements, but also, critically, on experiential ones (Nelson and Bloom, 1997: 970,); Thus repeated firing of a neuronal network results in both ‘priming’ (i.e. it becomes more likely to fire in response to that stimulus on future occasions) and reinforcing of the network connections, which thus tend to become firmly established rather than being pruned. Plasticity is vital for understanding how brain circuitry facilitating social interactions is itself shaped by those same interactions. Plasticity is most evident in childhood, but there is good evidence that it persists into adulthood (Greenfield, 2002: 91,). Dynamic scanning techniques such as SPECT and fMRI have revolutionised aspects of neuroscientific study, but the data they produce is, in comparison to the speed and degree of localisation of the underlying brain processes, relatively crude. Thus only rough approximations of brain activity are produced, a significant point when attempting to map highly complex cognitive processes onto the cortex. Additionally, such techniques do not directly image neuronal activity but changes in blood flow or oxygen uptake, and specific neuronal information can only be inferred. Thus for example a brain region may be seen to ‘light up’, but whether the neuronal firing is excitatory or inhibitory cannot be directly adduced. Limitations inherent in the mechanics of the scanning processes may also mean that tasks which can be undertaken by subjects may not accurately reflect the cognitive processing that goes on under ‘normal’ conditions. These drawbacks not withstanding though, experimental data have begun to build up a picture of how the brain handles social cognition. The term ‘social brain’ refers to ‘a distributed network of highly interconnected systems involving both cortical and subcortical systems’ (Burns, 2006: 805,). First described in non-human primates (Brothers, 1990:127-151,), a similar system is now believed, on the basis of both neuroimaging and lesion studies to exist in humans (Baron-Cohen et al., 1999: 1891-1898,) and to regulate and integrate a variety of mental processes involved in social cognition. (Frith, 2007: 671-678,) Three key abilities seem to be necessary: that to interpret biological signals; that to form neural representations of the actions and emotions of other agents; and that to attribute mental states to others. The recognition and analysis of faces is an important part of everyday interaction (Puce et al., 1998: 2188,). Facial processing appears to be highly complex and evidence from neonatal (Ellis et al., 1992:105,) and infant studies (Slater and Quinn, 2001: 21-24,) indicates that at least some capacity for this is innately specified. Faces appear to be processed differently from other objects (Sergent et al., 1992: 55,) in a complex decoding process in which information about facial expressions (Blair, 2003: 561-572,), eye movements (Hoffman and Haxby, 2000: 80-84,) and angle of gaze (Puce and Perrett, 2003: 435-445,) are all processed individually and the resulting information reintegrated with additional information added by other systems (vide infra). Such processing is clearly a key skill in social interaction: Humans are skilful at making reasonably reliable judgements even from relatively impoverished stimuli and are sensitive both to the signals themselves and to their contextual details (Adolphs, 2003:188-167,). Evidence suggests that movement and gesture are subject to similar complex decoding processes distributed across different brain loci (e.g. Beauchamp et al., 2003: 991-1001,). The brain appears able to interpret and assign different social significance to different types of movement and gesture, and processes them differently on the basis of these categorisations. Hence there is evidence that instrumental gestures (i.e. those communicating commands or directions) and expressive gestures (i.e. those communicating inner feelings) are processed through different neural networks, with the latter involving brain loci which are also activated during mentalising tasks (Gallagher and Frith, 2004: 1725-1736,). Additionally, observation of goal-orientated actions elicits a much higher level of neural activity than of those with no specific goal (Koski et al., 2002:847-855,). Again, being able to make judgments about such things aids successful social interaction. Imaging studies (Grezes et al., 2003: 928-937,) reveal the MNS to be a complex network involving a number of brain regions and which is also able to make inferences and engage motor circuits predicatively (Flanagan and Johansson, 2003:769,). There are also strong indications that a similar system may underlie the experiential understanding of the emotions of others (Singer et al., 2004:1157-1162,). This is probably only a part of the picture of how emotional cues are processed (Wicker et al., 2003: 661,), but it seems feasible that the experiential insight it generates may form the basis for the experience of empathy. As with the motor MNS, the neural reproduction of observed emotions seems to provide a very direct form of ‘knowing’ at the neuronal level and which is very different to that produced by higher cognitive processing and elaboration of observed data. The capabilities of the MNS would seem to indicate that it is significantly involved in both biological signal interpretations and in theory of mind skills and mirror neurones have become a major factor in evolving understandings of these complex social cognition processes. The system must also necessarily contain a decoupling mechanism in order to make correct ascriptions of agency for ‘mirrored’ representations and maintain self/other separation. Precisely how this is done is unclear but is presumed to involve further complex processing. Mentalising or ‘Theory of mind’ (ToM) is an automatic high-level cognitive function (Gallagher and Frith, 2003:77,) critical for human cognitive development (Frith and Frith, 2003: 458-473,), and underpinning the human ability to engage in complex social interaction (Stone et al., 2003: 640,). The possession of highly developed ToM skills distinguishes humans from other primates and forms a critical foundation for the ability to co-operate, empathise and practice deception. Once again processing is distributed across a number of different brain loci (Gallagher and Frith, 2003: 73,). Holding a ToM centres on the ability to attribute mental states, and thus associated features such as agency, intentions, goals, emotions, and beliefs, to other people. Taking an ‘intentional stance’ is a key component of this mentalising process, engaging specific cortical loci and fundamentally affecting subsequent interactions (Gallagher et al., 2002: 814-821,). ToM (or mentalising) skills arise in a coordinated fashion during development (Stone et al., 1998: 640-656,) appearing at about eighteen months, attaining the critical level of understanding false belief at around age four and eventually arriving at the ability to think about what others are thinking about us through several removes. Poorly developed ToM skills (e.g. as seen in those suffering with autistic spectrum disorders) can lead to profound difficulties with social interaction. What is evident from this brief review is that experimental data from CGN research studies have produced a compelling and steadily developing corpus of evidence that the brain is innately equipped with mechanisms to facilitate social interaction; in other words, that this ability is an integral part of what it is to be a human person. These systems are highly interconnected and are thus, given the properties of neural networks, of vast complexity and potential. Moreover, the inherent properties of both neural network function and neuronal plasticity, mean that these systems are capable of a significant degree of development and refinement. It is clear that one of the key elements involved in this is the process of social interaction itself and that cognitive processes are driven to higher levels of sophistication by the complexities of social engagement. Thus the acts and experiences of social relationship shape the neurobiological processes which themselves enable these. Equally clearly, each of the processing systems highlighted is essential to successful engagement: both clinical and laboratory studies indicate that people in whom any of these systems are disrupted have impaired social abilities. What is less clear is the extent to which we can view the human capacity for personal relatedness as simply a property of these basic neural systems? Can the faculty be totally explained in terms of the abilities contained within neural decoding of social information about other agents, or does it represent something which cannot be reduced to the mechanics of this? In other words, can it be regarded, as Brown (1998: 101,) has suggested, as an emergent property of these social cognition processes? Despite some suspicion about its potential for misuse (Clayton, 2006b: 47,) emergence is a powerful and increasingly popular explanatory paradigm. The tantalising notion that there can be ‘something more from nothing but’ combines a high degree of emotional, aesthetic and intellectual appeal with an impressive explanatory potential (Jackelén, 2006:624,). Emergent phenomena appear to be a ubiquitous feature of an evolving world (Gregersen, 2006:310,); and although some doubt its compatibility with the basic metaphysical commitments of current scientific discourse (El-Hani and Pihlström, 2002:2,), Clayton (2006a: 293,) believes there is now enough evidence not only to hold emergence as a sine qua non of natural history, but also to privilege emergence theory over reduction as ‘the more adequate philosophy of science’ The term refers to ‘the arising of novel and coherent structures, patterns and properties during the process of self-organisation in complex systems’(Goldstein, 1999: 49,). Although dependant on the lower level structures, they are not reducible to them; furthermore, these new elements can exert a downward influence on the system which can be actively causal. When viewed from an evolutionary perspective, the capacity to relate to others socially can clearly be designated as an emergent phenomenon and the idea that increasingly sophisticated forms of social interaction were the driving force behind increasing primate brain size, rather than a consequence of it, is well supported and commands wide-spread acceptance (Drew, 2007: 561,) The question here though is what on-going role emergence might play in the human capacity to form relationships? It seems self-evident that this is a far more complex affair than simply the capacity to hold a concept of ‘other agents’ and the capability to recognise and decode the significance of their actions as a means to survival; and moreover that the experience of such relationships is of a qualitatively different kind to that of basic functional social interactions. Thus we seem to be looking at a capacity here that it is more than simply the summation of underlying neural processes, but does it have the necessary hallmarks of an emergent property? Emergence is a feature of complex systems and the cognitive processing of social cues, like most neurobiological systems, clearly displays the features identified by Taylor (2001: 142,) as characteristic of complex systems, namely: many different parts connected in multiple ways; serial and parallel interaction between these; and the generation of both sequential and simultaneous effects and events; thus it certainly has the capacity to give rise to emergent properties. Emergent phenomena are also dependant on lower level parts, but not reducible to them. With respect to the first of these conditions, laboratory and clinical studies indicate that the ability to form complex social relationships clearly depends on the cognitive decoding processes described: however, as already suggested, this capacity appears to be much more than the sum of the parts of these decoding systems. It moves beyond mere functional sociality as a survival mechanism to the development of deep, sustaining and enduring relationships with others. It may also, as Brown (1998: 102,) suggests in his use of the term, open the possibility of a transcendental dimension, to human relationships, allowing connection with the Divine – however conceived. I would contend then, that it can clearly be held as having properties irreducible simply to those of the system parts. Thus on these two criteria, there seem to be good grounds for arguing that the capacity for relatedness can be designated an emergent phenomenon. A further key feature of ontologically emergent properties is that they have the capacity to exert actively causal effects on their constituent systems. If such an effect could be understood to occur through the expression and experience of relationality, then this would be further evidence for its status as ontologically emergent. I suggest that PNI data reviewed could be interpreted as possible evidence for downward causality: PNI systems are involved in monitoring internal and external environments for threats to the organism; it is thus perfectly reasonable, especially in view of the complexity of neuronal functioning, to understand them as being connected to the systems for identifying and decoding social signals from nearby conspecifics. Thus if the capacity for relatedness is an emergent phenomenon, it could be legitimately expected that it might exert causal influence on elements of PNI systems, and thus be capable of moderating immune function. However this would still leave an unanswered question about the precise nature of these effects. Thus far then, the interdisciplinary exploration has raised the possibility that the experience of personal relatedness might have a direct effect on immune function rather than simply acting as a stress buffer. It has been suggested that, since mechanisms enabling social interaction are hardwired into the brain, the capacity to relate is integral to the understanding of what a human person is; moreover that this capacity is in fact an emergent property of these basic social cognition processes and thus potentially can have casual efficacy on PNI systems. However neither of these possibilities is capable of direct experimental proof and both leave questions unanswered, for example about why immune function is affected in the way that is observed. In some senses, Biblical texts appear to anticipate, from within the explanatory paradigms of a different domain of rationality, some of these findings viz not only that relationality is an integral and defining characteristic of humanness, but that its expression is an important factor in healthy human functioning. Moreover theology, particularly in the wake of the Barthian-inspired revival of interest in the Trinity, has developed some thick and rich theologies of the nature of God and of persons, in which relationality is a central feature. It thus also has its own unique perspective on the theme from which to contribute towards the quest for optimal intelligibility in this area. As already noted, theology (in this instance, ‘Christian’) is a radically pluralist discipline comprehending a wide range of schools of thought. Thus there are different understandings of both Trinity and personhood and the relational perspectives explored here are by no means universally accepted. Nevertheless, the view that relationality, rather than substantiality, defines personhood commands widespread support across both traditional confessional divides and diverse theological schools (Grenz, 2001: 5,). However, a feature of the model for discourse used here is that it allows for a focus on shared interdisciplinary interest in terms of a very specific ‘science’ or ‘theology’. Thus this section considers particular theological perspectives which can contribute further insights towards unravelling the role which relationality might play in health. The Trinitarian starting point reflects authorial understanding not only of the nature of the Christian faith as irreducibly Trinitarian in character, but also that this can provide a distinctive and authentic perspective from which theology can engage with other disciplines. These theologies are rich and detailed concepts and so it is impossible here to do more than delineate some key features and briefly explore possible implications for the area under discussion. Aristotle’s hierarchical categorisation privileging substance over relation as an explanatory capacity (and thus implicitly valuing the actual over the potential) has, until relatively recently been a dominant one in western thought and thus reflected in the Trinitarian conceptions seen in western Christianity. However one result of the resurgent interest in Trinitarian doctrine has been the recovery of the very different understanding developed by the 4th century Cappodocians in response to the Christological disputes of their time. This model, extensively explored and developed by Zizioulas (1985; 1991: 33-46; 1995: 44-60; 2006,) is predicated on the concept of perichoresis – mutual indwelling – of the Father, Son and Spirit, and thus relation rather than substance becomes the key to understanding God’s triune nature. Here relationality is understood as a fundamental and defining feature of God himself: Ontological primacy within the Trinity, rather than being located in substance is seen as inhering in personhood itself, thus transforming ‘person’ into a constituent element of being (Zizioulas, 1985: 27-39,) and making the concept of being itself, a relational one: Hence to be and to be in relation are one and the same (Zizioulas, 1985: 88,) and thus relating is not attached to being, it is being itself (Zizioulas, 2006: 112,). The Trinity thus conceived is not a static entity consisting of three persons who relate to each other, but rather something in which there is a perpetual movement and exchange (Volf, 2006: 9,) characterised, not by self-absorption, but instead by a perpetual moving towards the other and a making of space for them to be. Moltmann (1992: 137,) describes this as a process of self-donation within a dynamic of reciprocal self-surrender, and sees it as being the way through which the unique identity of each of the persons emerges, as they are determined in their particular personal identity by the others. Thus Trinitarian relationships are mutually constitutive: each of the persons is complete and cannot be reduced to their relationships (Volf, 1996: 180,), but it is also their relationships which make them who they uniquely are. Relationality is thus not an incidental feature of God, but part of his essential essence. But can these abstruse technicalities relating to the internal dynamics of the Trinity be anything more than an esoteric doctrine with no application to everyday life? The leitmotif of human uniqueness, the concept of the imago Dei suggests that they both can and are. God’s words as recorded in Gen 1:26: ‘Let us make (man) in our image, in our likeness’ seems to imply a profound theological truth claim about human nature; and indeed the concept of the imago Dei has a long and potent history justifying the human perception of itself as the apex and master of creation. However none of the scant handful of biblical texts referencing the idea gives any indication as to what form this likeness actually takes. Substantive and functional interpretations have located it respectively in the possession of a particular faculty (usually reason), or in a specific role (typically ‘dominion’). However, relational readings of the concept have recently become more prominent, understanding either that the likeness is constituted primarily by the possibility of human relatedness to God, or that it resides in the human ability to form social relationships. If, following the model outlined above, the inherent internal nature of God is understood as being relational, then there is a good case to be made for also holding relationally to be a key constitutive element of human persons, made in the imago Dei. The CGN studies discussed provide evidence that humans are innately equipped with sophisticated mechanisms to enable and facilitate social relationships; and moreover that the experience of sociality plays a key role in the further development and refining of those mechanisms. Furthermore, humans clearly have a capacity for developing and sustaining relationships which extends beyond a simple ability to successfully decode social signals as a survival mechanism. This relational reading of the imago Dei is also supported by themes which run through both the old (OT) and new (NT) testaments in which human relationships play a key role. In the OT, both the central importance of relationality as an element of human existence, and its possible relationship to wellbeing are woven into a number of concepts. Thus for example nephesh, an important member of the Hebrew family of ‘soul words’ (and usually translated as ‘soul’), implies something very different from the typical western understanding of the term. This word always occurs in a relational or social context and is seemingly better understood not (in keeping with the Hebraic anthropology of the unified person) as an isolated component of a dualistic entity, but rather as a person-in-relation; with the person isolated from their community regarded as sick in their soul (Bruckner, 2005: 10-11,). Similarly with the concept of shalom: whilst usually translated ‘peace’, the idea is actually much richer, comprehending health, completeness and harmony in every aspect of life – physical, mental, spiritual, and individual, social, national and international. However this wellbeing is not understood primarily as an individual possession, but worked out in a communal sense (Davies, 1987: 254,) Thus to be healthy, was to be in a flourishing and sustaining relationship with God, the other and the wider created world. Such relationships were marked by a desire for justice, by hospitality to strangers and concern for the most vulnerable members of society – the widow, the orphan and the alien; and a consistent theme in the prophetic writings is God’s anger that the demands of relationality have been overturned by selfishness. There would seem to be a close parallel here with the implications of the PNI data discussed earlier, that the quality and quantity of a person’s relationships may be causally implicated in healthy functioning. The themes of relationality and health are also strongly linked in the NT: So for example, examination of the healing miracles reveals a subtext of alienation and disrupted relationships, the repair and restoration of which are always a significant part of the healing affected. Luke 842b-48 serves as a paradigmatic example of this, as the actions and words of Jesus bring not only physical healing, but affirmation of kinship and restoration to the larger community from which the woman’s bleeding has excluded her. A different slant is given by Paul’s first letter to the Corinthians where a lack of relational concern appears to be at the root of a number of problems within the church. The importance of relationality seems to be implicit in Paul’s differentiation of soma (body) from sarx (flesh); for whilst the former appears to be linked to relational functioning, the latter is characterised by an emphasis on an individuality (Thiselton, 2005: 87,) which undermines relationality. The lack of relational concern consequent on this, and characterised by the emphasis on an individual’s ‘right to choose’, damages the life of all within the community and distorts the message of the Gospel. Borrowing Büber’s terminology (vide infra) we might thus see sarx and soma as illustrating ‘I-It’ as against ’I-Thou’ modes of relationality. The understanding of God as inherently relational (in as much as we can actually comprehend what this might mean for God), taken in conjunction with the concept of imago Dei and the evidence, woven into both OT and NT texts, of the central importance of relationality to healthy human flourishing, strengthens the case that relationality should be understood as a foundational element of what it is to be human, and that personal relatedness is a vital component of human being. Furthermore, if the concept of imago Dei means that we can never think about human nature apart from God’s nature (van Huyssteen, 2006:118,), then the shape of the relationships within the Trinity – the ‘loving, cooperative, egalitarian and dialogical’ interaction of Boff’s description (1988, cited in Grenz, 2004: 129,) ought also to be mirrored in human relationships. However this is self-evidently not the case: human history, biblical texts and our own experience all confirm that human being drifts inexorably towards the pole of privatised self-centred living, something Christian anthropologies would see as part of the disruptive effect of sin on humanness. There would seem then to be both noetic and ontological limits to the degree to which humans can model Trinitarian relationships. However Jesus’ injunction to ‘be perfect therefore, as your heavenly Father is perfect’ (Matt 5:48), particularly coming as it does at the end of a long discourse about right relationships, seemingly indicates that some degree of equivalence is not only desirable but also achievable. But does the mutual constitution understood to be at work in the perichoresis of the Trinity actually have a counterpart in human experience? If it does, then what does this mean in practice, for a human understanding of relationality, and can it illuminate our understanding of how this might be connected to PNI functioning? Here, the understanding of dialogical relationship as expressed by Büber (2002; 2004,), and developed in the writings of Marcel (1951; 2002,) has some useful insights to contribute. Both Büber and Marcel posit relationality as a defining characteristic of humanness and hold that thus there can be no ‘I’ taken in itself, but only the ‘I’ of relation. Hence for Büber, the answer to the anthropological question ‘what makes man, man?’ is, quite simply, ‘the other self’: ‘Through the ‘Thou’ a man becomes ‘I’ (Büber, 2004: 18,). 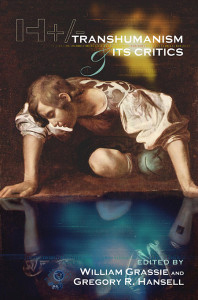 In his classic exposition of the dialogical relationship he delineates two possible modes of human connection: ‘I-It’ and ‘I-Thou’. In the former, the other is viewed as an object and the mode of interaction is marked by separation and detachment. In the latter, the other is seen as a subject and engagement is characterised by mutuality and reciprocity. Whilst ‘I-It’ relations may sometimes be necessary, it is only through ‘I-Thou’ ones that personhood is fully enabled: ‘he who lives with ‘It’ alone is not a man’(Büber, 2004: 32,). Thus to live as an ‘I’ without a ‘Thou’ is to experience an incomplete, impoverished reality, but to share in ‘I-Thou’ interactions is to actualise reality more completely. Büber’s thinking here has a number of interesting resonances with the CGN discussed: for example he describes a certain reinforcing circularity about the experience of ‘I-Thou’ whereby the ‘I’ comes into being though relating to the ‘Thou, and at the same time this ‘becoming’ enables a deeper relationship to develop. This seems to parallel the CGN understandings of how relating develops and refines the cognitive processes enabling it. The successful formation of I-Thou relationships also requires the faculty of inclusion – that is, the ability not only to see the other as a full person but also to be able to see reality as they experience it; in other words to grasp both the abstract and the concrete reality of their existence (Pembroke, 2004: 20,) This is not the same however as empathy, because in the former, one’s own self-awareness is retained, whereas for Büber, the latter involves the extinguishing of one’s own concreteness (Büber, 2002: 115,). Once again, there is an intriguing echo of the CGN research, in this case of the mirror neuron system and of theory of mind skills – those abilities to see another person as an agent and to have some idea of what it is they are experiencing – which such research shows as vital for successful social interaction. For Marcel, a key idea in establishing this type of relationship is that of ‘disponibilité’, which we might understand as a state of radical availability. This involves putting oneself and all one’s resources (material, emotional, intellectual and spiritual) at the disposal of the other – in effect to say to them ‘I belong to you’ (Marcel, 2002: 38,). Marcel puts it thus: ‘The one who is at my disposal is the one…capable of being with me with the whole of himself when I am in need; the one not at my disposal … seems merely to offer me a temporary loan on his resources. For the one I am a presence, for the other…an object’ (Marcel, 1995: 40,). Marcel understands both giving and receiving as being determinants of identity; thus the relationships of ‘disponibilité’, characterised by presence and communication involve both the offering of the self and the acceptance of the presence offered by the other. Availability though is only possible if we have the resources at hand to offer – and this requires not only self awareness, but the ability to set aside our own preoccupations since ‘…if I am completely absorbed in myself, concentrated on my sensations, feelings, anxieties, it will obviously be impossible for me to receive, to incorporate in myself, the message of the other’ (Marcel, 2002: 88,). Thus by this account, relatedness would also seem to comprehend an element of being properly connected with one’s own self. Again this is something which Christian anthropology would see as fundamentally disrupted by sin. Thus Paul’s lament that ‘what I want to do I do not do, but what I hate I do’ (Rom 7:15), or Augustine’s insight that ‘I was at war with myself and destroyed myself’ (Confessions VIII, Xii) would seem to be typical expressions of a universal human experience. Once again the fact is underlined that, while the faculty for personal relatedness might well be an integral part of humanness, the extent to which it can be realised and expressed may be somewhat compromised in a number of dimensions. In contrast to this, we could take the final conversations of the dying Christ as the supreme example of ‘disponibilité’, showing as they do both the making of space to receive and constitute the other, and a care to provide for the continuation of such a possibility after his death. The establishment of a relationship characterised by disponibilité is however only part of the picture; any such a relationship has to move beyond merely being an episode to becoming a disposition, something Marcel sees as being made possible through what he terms ‘creative fidelity’ (Marcel, 2002: 147-174,). Just as Büber sees true community as coming about through the decision to be in ‘living mutual relation with one another’ (Büber, 2004: 40,), so too Marcel understands the critical element of a sustainable ‘I-Thou’ to inhere in an active choice. Giving ourselves in creative fidelity to the other requires a determination, a ‘pledge of faith’, to establish and maintain a constant self in one’s relationships, over and against any fluctuations that might arise because of changing circumstances. This involves both a creative and constant reinvocation of the presence of the other, and also a refusal to lapse into routinised responses in our engagement with them (Wood, 1999: 89,). In the accounts of Büber and Marcel then we have a picture of personhood in which not only is relationality an essential element, but also, through the way in which it is experienced and expressed, a key determinant of the degree to which that personhood is realised. Active choice, hospitality, availability and continuation are all key features of the type of relationships which mirror the Trinitarian pattern in what Gunton (1991: 47-64,) sees as its provision of the essential space for particularity to be conferred on and received from the other (and thus where personal being can emerge) and the correct balance between otherness and relation. There are some tantalising resonances with experimental data from both CGN and PNI research and the question must now be whether this picture, taken with the other theological data given, can provide any further illumination as to possible connections between social relationships, PNI functioning and associated health consequences. This paper has argued that the capacity for personal relatedness, while dependant on such abilities, extends beyond merely the neurological ability to decode signals; and that this, taken in conjunction with the nature of the neurocognitive systems enabling these processes, gives legitimate grounds for arguing such a capacity to be an emergent property of these systems. Furthermore, it has been reasoned that if this were the case, then such a property could be expected to exert downward causality on system components. Theological understandings support, from within a different explanatory paradigm, the idea that humanness and the capacity for social relationships are inextricably linked; but more than this, it understands the capacity for personal relatedness and its full expression in mutually constitutive, supportive and sustaining relationships as an essential constitutive feature of humanness, but one which can only be imperfectly realised. Here then is a possible way of expanding the answer to the question of how and why PNI function might be affected by relationality: If the capacity for personal relatedness is not only an emergent property of CGN systems, but also an essential element of human being, then the actual extent to which such a capacity is experienced and expressed might directly affect, through downward causation, the functioning of PNI systems. Moreover, the form this relationality takes may itself have different effects on immune function. PNI studies have shown that social relationships are associated with both up- and down- regulation of system components. Thus not only do fewer and poorer social interactions appear to depress immune function, but also more numerous and better quality interactions are associated with improved functioning – for example more vigorous antibody responses. Theological understandings of ‘I-It’ and ‘I-Thou’ types of interaction; biblical themes of the importance of caring concern for others for personal well-being, and of the destructive effects of a privatised autonomous approach to living, might all add weight to the argument that the degree and nature of social interactions can themselves be a factor in how this casual relationship between relatedness and PNI function is expressed. Following van Huyssteen’s model for interdisciplinary dialogue, this paper has argued that the concept of relationality constitutes a ‘transversal space’ in which a fruitful dialogue can be developed between psychoneuroimmunology, cognitive neuroscience and theology, and has begun to delineate such a dialogue as a way of developing a neurotheological understanding of health. Epidemiological data, whilst not themselves permitting an attribution of causality, are indicative of an important correlation between social interaction and health outcomes. I have argued here that, methodological considerations notwithstanding, a steadily increasing volume of data from PNI studies suggest that both the quantity and quality of social interactions can affect PNI function in both negative and positive ways; furthermore that an indirect stress-buffering hypothesis seems inadequate as a complete explanatory account of this. It is outside the scope of experimental immunological studies to explain why and how a more direct effect might be responsible. However both data from CGN studies and theological insights contribute useful insights towards optimising understanding of this possibility. Both suggest, in different ways, that relationality is a constitutive feature of humanness, the former through explication of key systems for cognitive decoding of social signals, the latter through understandings of the relational nature of God and of humans created to be imago Dei. However, this capacity to develop complex, rich and supportive relationships – the capacity to express and experience personal relatedness – appears to be far more than just a function of the summation of decoding systems, and it has been suggested that it can be better understood as an emergent feature of these systems. Since ontologically emergent features can exert downward causation on component systems, it has been argued that this understanding might present an explanation of why social engagement appears to directly moderate immunological functioning. Furthermore, theological understanding suggests that the expression and experience of relationality, whilst being an essential and defining element of what it is to be human, can only be realised in a partial and sometimes grossly distorted way. Thus it has been suggested that not only is the capacity for personal relatedness an essential part of what it is to be human, but that the extent to which it is experienced and expressed can directly moderate PNI function, and that this may, at least in part, help to explain epidemiological and experimental data connecting social relationships to health outcomes. Here then we have the beginnings of a ‘neurotheology of health’ in which insights from the very disparate disciplines of neuroscience and theology contribute towards developing a richer understanding of the role that our relationships with others plays in our health and well-being. Ader, R., Cohen, N. and Felten, D. (1995). Psychoneuroimmunology: Interactions Between the Nervous System and the Immune System. The Lancet 345 (8942), pp.99-103. Ader, R. and Kelley, K. W. (2007). A Global View of Twenty Years of Brain, Behavior, and Immunity. Brain, Behavior & Immunity 21 (1), pp.20-22. Adolphs, R. (2003). Cognitive Neuroscience of Human Social Behaviour. Nature Reviews Neuroscience 4 (3), pp.165-180. Baron-Cohen, S. et al. (1999). Social Intelligence in the Normal and Autistic brain: an fMRI study. European Journal of Neuroscience 11 (6), pp.1891-1898. Baron, R. et al. (1990). Social Support and Immune Function Among Spouses of Cancer Patients. J. Pers. Soc. Psychology 59 (344-52). Bartrop, R. et al. (1997). Depressed Lymphocyte Function after Bereavement. The Lancet 1, pp.374-377. Beauchamp, M. S. et al. (2003). fMRI Responses to Video and Point-Light Displays of Moving Humans and Manipulable Objects. Journal of Cognitive Neuroscience 15 (7), pp.991-1001. Blair, R. J. R. (2003). Facial Expressions, Their Communicatory Functions and Neuro-Cognitive Substrates. Philosophical Transactions: Biological Sciences 358 (1431), pp.561-572. Broadbent, E. et al. (2003). Psychological Stress Impairs Early Wound Repair Following Surgery. Psychosomatic Medicine 65 (5), pp.865-869. Brothers, L. (1990). The Social Brain: a Project for Integrating Primate Behaviour and Neurophysiology in a New Domain. Concepts in Neuroscience 1990 (127-51). Brown, W. S. (1998). Cognitive Contributions to Soul. In: Brown, W. S., Murphy, N. and Maloney, H. N. (eds.) Whatever Happened to the Soul: Scientific and Theological Portraits of Human Nature. Minneapolis: Fortress Press, pp.99-126. Bruckner, J. K. (2005). A Theological Description of Human Wholeness in Deuteronomy 6. Ex auditu 21, pp.1-19. Büber, M. (2002). Between Man and Man. ET ed. Abingdon: Routledge. Büber, M. (2004). I and Thou. 2nd ed. London: Continuum. Burns, J. K. (2006). Psychosis: A Costly By-product of Social Brain Evolution in Homo Sapiens. Progress in Neuro-Psychopharmacology and Biological Psychiatry 30 (5), pp.797-814. Bushnell, I. W. R. (2001). Mother’s Face Recognition in Newborn Infants: Learning and Memory. Infant & Child Development 10 (1/2), pp.67-74. Castelli, F. et al. (2000). Movement and Mind: A Functional Imaging Study of Perception and Interpretation of Complex Intentional Movement Patterns. Neuroimage 12 (3), pp.314-325. Clayton, P. (2006a). The Emergence of Spirit: From Complexity to Anthropology to Theology. Theology & Science 4 (3), pp.291-307. Clayton, P. (2006b). Mind and Emergence: From Quantum to Consciousness. Pbk ed. Oxford: OUP. Cohen, S. (2005). The Pittsburgh Common Cold Studies: Psychosocial Predictors of Susceptibility to Respiratory Infectious Illness. International Journal of Behavioral Medicine 12 (3), pp.123-131. Cohen, S. and Wills, T. A. (1985). Stress, Social Support, and the Buffering Hypothesis. Psychological Bulletin 98 (2), pp.310-357. Davidson, R. J. et al. (2003). Alterations in Brain and Immune Function Produced by Mindfulness Meditation. Psychosomatic Medicine 65 (4), pp.564-570. Davies, J. G. (1987). Shalom. In: Campbell, A. V., ed. A Dictionary of Pastoral Care. Londonspck. Downing, P. E. et al. (2001). A Cortical Area Selective for Visual Processing of the Human Body. Science 293 (5539), pp.2470-2473. Drew, R. (2007). Social Brains, Simple Minds: Does Social Complexity Really Require Cognitive Complexity? Philosophical Transactions: Biological Sciences 362 (1480), pp.561-575. El-Hani, C. N. and Pihlström, S. (2002). Emergence Theories and Pragmatic Realism. Essays in Philosophy 3 (2), pp.1-40. Ellis, H. D., Bruce, V. and Schonen, S. D. (1992). The Development of Face Processing Skills Philosophical Transactions: Biological Sciences 335 (1273), pp.105-111. Flanagan, J. R. and Johansson, R. S. (2003). Action Plans Used in Action Observation. Nature 424 (6950), p.769. Frith, C., D. (2007). The Social Brain? Philosophical Transactions: Biological Sciences 362 (1480), pp.671-678. Frith, U. and Frith, C. D. (2003). Development and Neurophysiology of Mentalizing. Philosophical Transactions: Biological Sciences 358 (1431), pp.459-473. Gallagher, H. L. and Frith, C. D. (2003). Functional Imaging of `Theory of Mind’. Trends in Cognitive Sciences 7 (2), pp.77-83. Gallagher, H. L. and Frith, C. D. (2004). Dissociable Neural Pathways for the Perception and Recognition of Expressive and Instrumental Gestures. Neuropsychologia 42 (13), pp.1725-1736. Gallagher, H. L. et al. (2002). Imaging the Intentional Stance in a Competitive Game. Neuroimage 16 (3, Part 1), pp.814-821. Goldstein, J. (1999). Emergence as a Construct: History and Issues. Emergence 1 (1), p.49. Greenfield, S. (2002). Mind, Brain and Consciousness. British Journal of Psychiatry 181, pp.91-93. Gregersen, N. H. (2006). Emergence in Theological Perspective: A Corollary to Professor Clayton’s Boyle Lecture. Theology & Science 4 (3), pp.309-320. Gregerson, N. H. (1998). A Contextual Coherence Theory for the Science-Theology Dialogue. In: Gregerson, N. H. and Van Huyssteen, J. W. (eds.) Rethinking Theology and Science: Six Models for the Current Dialogue. Grand Rapids, Michigan: Wm. B. Eerdmans Publishing Co.
Grenz, S. J. (2001). The Social God and the Relational Self: A Trinitarian Theology of the Imago Dei. Louisville, Kentucky: Westminster John Knox Press. Grenz, S. J. (2004). Rediscovering the Triune God: The Trinity in Contemporary Theology. Minneapolis: Fortress Press. Grezes, J. et al. (2003). Activations Related to “Mirror” and “Canonical” Neurones in the Human Brain: an fMRI Study. Neuroimage 18 (4), pp.928-937. Grossman, E. D. and Blake, R. (2002). Brain Areas Active during Visual Perception of Biological Motion. Neuron 35 (6), pp.1167-1175. Grossmann, T. and Johnson, M. H. (2007). The Development of the Social Brain in Human Infancy. European Journal of Neuroscience 25 (4), pp.909-919. Gunton, C. (1991). Trinity, Ontology and Anthropology: Towards a Renewal of the Doctrine of the Imago Dei. In: Schwobel, C. and Gunton, C. (eds.) Persons, Divine and Human. Edinburgh: T and T Clark, pp.47-64. Heffner, K. L. et al. (2006). Older Spouses’ Cortisol Responses to Marital Conflict: Associations with Demand/Withdraw Communication Patterns. Journal of Behavioral Medicine 29 (4), pp.317-325. Hoffman, E. A. and Haxby, J. V. (2000). Distinct Representations of Eye Gaze and Identity in the Distributed Human Neural System for Face Perception. Nature Neuroscience 3 (1), pp.80-84. Holland, S. M. and Vizi, E. S. (2002). Immunomodulation. Current Opinion in Pharmacology 2 (4), pp.425-427. House, J. S., Landis, K. R. and Umberson, D. (1988). Social Relationships and Health. Science 241 (4865), pp.540-545. Jackelén, A. (2006). Emergence Everywhere?! Reflections on Philip Clayton’s Mind and Emergence. Zygon: Journal of Religion & Science 41 (3), pp.623-632. Kanwisher, N., McDermott, J. and Chun, M. M. (1997). The Fusiform Face Area: A Module in Human Extrastriate Cortex Specialized for Face Perception. The Journal of Neuroscience 17 (11), pp.4302-4311. Kiecolt-Glaser, J. K. et al. (2003). Love, Marriage, and Divorce: Newlyweds’ Stress Hormones Foreshadow Relationship Changes. Journal of Consulting and Clinical Psychology 71 (1), p.176. Kiecolt-Glaser, J. K. et al. (1991). Spousal Caregivers of Dementia Victims: Longitudinal Changes in Immunity and Health. Psychosomatic Medicine 53 (4), pp.345-362. Kiecolt-Glaser, J. K. et al. (1987). Marital Quality, Marital Disruption, and Immune Function. Psychosomatic Medicine 49 (1), pp.13-34. Kiecolt-Glaser, J. K. et al. (1997). Marital Conflict in Older Adults: Endocrinological and Immunological Correlates. Psychosomatic Medicine 59 (4), pp.339-349. Kiecolt-Glaser, J. K. et al. (1988). Marital Discord and Immunity in Males. Psychosomatic Medicine 50 (3), pp.213-229. Kiecolt-Glaser, J. K. et al. (2005). Hostile Marital Interactions, Proinflammatory Cytokine Production, and Wound Healing. Archives of General Psychiatry 62 (12), pp.1377-1384. Kiecolt-Glaser, J. K. et al. (1993). Negative Behavior During Marital Conflict is Associated with Immunological Down-regulation. Psychosomatic Medicine 55 (5), pp.395-412. Kiecolt-Glaser, J. K. et al. (2002a). Psychoneuroimmunology and Psychosomatic Medicine: Back to the Future. Psychosomatic Medicine 64 (1), pp.15-28. Kiecolt-Glaser, J. K. et al. (2002b). Psychoneuroimmunology: Psychological Influences on Immune Function and Health. Journal of Consulting and Clinical Psychology 70 (3), pp.537-547. Koenig, H. G. and Cohen, H. J. (eds.) (2002). The Link between Religion and Health: Psychoneuroimmunology and the Faith Factor. Oxford: Oxford University Press. Koski, L. et al. (2002). Modulation of Motor and Premotor Activity during Imitation of Target-directed Actions. Cerebral Cortex 12 (8), pp.847-855. Levy, S. M. et al. (1990). Perceived Social Support and Tumor Estrogen/Progesterone Receptor Status as Predictors of Natural Killer Cell Activity in Breast Cancer Patients. . Psychosomatic Medicine 52, pp.73-85. Lutgendorf, S. K. et al. (2002). Vascular Endothelial Growth Factor and Social Support in Patients with Ovarian Carcinoma. Cancer 95 (4), pp.808-815. Malarkey, W. B. et al. (1994). Hostile Behavior During Marital Conflict Alters Pituitary and Adrenal Hormones. Psychosomatic Medicine 56 (1), pp.41-51. Marcel, G. (1951). The Mystery of Being: Reflection and Mystery. ET ed. London: The Harvill Press. Marcel, G. (1995). The Philosophy of Existentialism. ET ed. New York: Carol Publishing Group. Marcel, G. (2002). Creative Fidelity. ET ed. New York: Fordham University Press. McCabe, K. et al. (2001). A Functional Imaging Study of Cooperation in Two-person Reciprocal Exchange. Proceedings of the National Academy of Sciences of the United States of America 98 (20), pp.11832-11835. McGuire, L. and Kiecolt-Glaser, J. K. (2000). Interpersonal Pathways to Health. Psychiatry: Interpersonal & Biological Processes 63 (2), p.136. Meltzoff, A. N. and Decety, J. (2003). What Imitation Tells Us about Social Cognition: A Rapprochement between Developmental Psychology and Cognitive Neuroscience. Philosophical Transactions: Biological Sciences 358 (1431), pp.491-500. Miyazaki, T. et al. (2005). Association Between Perceived Social Support and Th1 Dominance. Biological Psychology 70 (1), pp.30-37. Moltmann, J. (1992). The Spirit of Life: A Universal Affirmation. Minneapolis: Fortress Press. Moynihan, J. A. et al. (2004). Psychosocial Factors and the Response to Influenza Vaccination in Older Adults. Psychosomatic Medicine 66 (6), pp.950-953. Nelson, C. A. and Bloom, F. E. (1997). Child Development and Neuroscience. Child Development 68 (5), p.970. Newberg, A. (2005). Neuroscience and Religion: Neurotheology. In: Jones, L., ed. Encylopedia of Religion. Detroit: Macmillan Reference USA. Newberg, A. B. and Lee, B. Y. (2005). The Neuroscientific Study of Religious and Spiritual Phenomena: Or why God doesn’t use biostatistics. Zygon: Journal of Religion & Science 40 (2), pp.469-489. Pembroke, N. (2004). Working Relationships: Spirituality in Human Service and Organisational Life. London: Jessica kingsley Publishers. Pressman, S. D. et al. (2005). Loneliness, Social Network Size, and Immune Response to Influenza Vaccination in College Freshmen. Health Psychology 24 (3), pp.297-306. Puce, A. et al. (1998). Temporal Cortex Activation in Humans Viewing Eye and Mouth Movements. The Journal of Neuroscience 18 (6), pp.2188-2199. Puce, A. and Perrett, D. (2003). Electrophysiology and Brain Imaging of Biological Motion. Philosophical Transactions: Biological Sciences 358 (1431), pp.435-445. Ramnani, N. and Miall, R. C. (2004). A System in the Human Brain for Predicting the Actions of Others. Nature Neuroscience 7 (1), pp.85-90. Rizzolatti, G., Fogassi, L. and Gallese, V. (2001). Neurophysiological Mechanisms Underlying the Understanding and Imitation of Action. Nature Reviews Neuroscience 2 (9), pp.661-670. Robinson, F. P., Mathews, H. L. and Witek-Janusek, L. (2002). Issues in the Design and Implementation of Psychoneuroimmunology Research. Biological Research for Nursing 3 (4), pp.165-175. Segerstrom, S. C. and Miller, G. E. (2004). Psychological Stress and the Human Immune System: A Meta-Analytic Study of 30 Years of Inquiry. . Psychological Bulletin 130 (4), pp.601-630. Sergent, J. et al. (1992). Functional and Anatomical Decomposition of Face Processing: Evidence from Prosopagnosia and PET Study of Normal Subjects [and Discussion]. Philosophical Transactions: Biological Sciences 335 (1273), pp.55-62. Shults, F. L. (2003). Reforming Theological Anthropology: After the Philosophical Turn to Relationality. Singer, T. et al. (2004). Empathy for Pain Involves the Affective but not SensoryComponents of Pain. Science 303 (5661), pp.1157-1162. Slater, A. and Quinn, P. C. (2001). Face Recognition in the Newborn Infant. Infant & Child Development 10 (1/2), pp.21-24. Sloan, R. P. (2005). 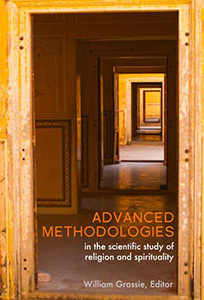 Field Analysis on the Literature on Religion, Spirituality and Health.Metanexus Field Analyses. Stone, J. A. (2000). J. Wentzel van Huyssteen: Refiguring Rationality in the Postmodern Age. Zygon: Journal of Religion & Science 35 (2), pp.415 – 426. Stone, V. E. et al. (2003). Acquired Theory of Mind Impairments in Individuals with Bilateral Amygdala Lesions. Neuropsychologia 41 (2), pp.209-220. Stone, V. E., Baron-Cohen, S. and Knight, R. T. (1998). Frontal Lobe Contributions to Theory of Mind. Journal of Cognitive Neuroscience 10 (5), pp.640-656. Taylor, M. C. (2001). The Moment of Complexity: Emerging Network Culture. Chicago: University of Chicago Press. Thiselton, A. C. (2005). Human Being, Relationality and Time in Hebrews, 1 Corinthians and Western Traditions. Ex auditu 13, pp.76-95. Uchino, B. N. (2006). Social Support and Health: A Review of Physiological Processes Potentially Underlying Links to Disease Outcomes. Journal of Behavioral Medicine 29 (4), pp.377-387. Uchino, B. N. et al. (2004). Heterogeneity in Social Networks: A Comparison of Different Models Linking Relationships to Psychological Outcomes. Journal of Social and Clinical Psychology 23 (2), pp.123-139. Uno, D., Uchino, B. N. and Smith, T. W. (2002). Relationship Quality Moderates the Effect of Social Support Given by Close Friends on Cardiovascular Reactivity in Women. International Journal of Behavioral Medicine 9 (3), pp.243-262. van Huyssteen, J. W. (1998). 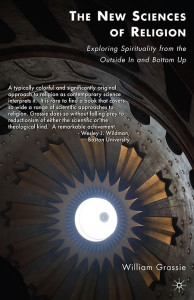 Postfoundationalism in Theology and Science: Beyond Conflict and Consonance. In: Gregerson, N. H. and Van Huyssteen, J. W. (eds.) Rethinking Theology and Science: Six Models for the Current Dialogue. Grand Rapids, Michigan: Wm. B. Eerdmans Publishing Co., pp.13-50. van Huyssteen, J. W. (1999). The Shaping of Rationality: Towards Interdisciplinarity in Theology and Science. Grand Rapids, Michigan/Cambridge, UK: William B. Eerdmans. van Huyssteen, J. W. (2003). Fallen Angels or Rising Beasts? Theological Perspectives on Human Uniqueness. Theology & Science 1 (2), pp.161-178. van Huyssteen, J. W. (2004). Human Uniqueness and Cognitive Evolution. In: The Gifford Lectures. University Of Edinburgh. van Huyssteen, J. W. (2006). Alone in the World? Human Uniqueness in Science and Theology. Hbk ed. Grand Rapids, Michigan/Cambridge, UK. : Wm B Eerdmans Pub. Co.
Volf, M. (1996). Exclusion and Embrace: A Theological Exploration of Identity, Otherness. and Reconcilliation. Nashville: Abingdon Press. Volf, M. (2006). Being As God Is: Trinity and Generosity. In: Volf, M. and Welker, M. (eds.) God’s Life in Trinity. Minneapolis: Augsberg Fortress. Watts, F. (1998). Science and Theology as Complementary Perspectives. In: Gregerson, N. H. and Van Huyssteen, J. W. (eds.) Rethinking Theology and Science: Six models for the current dialogue. Grand Rapids, Michigan: Wm. B. Eerdmans Publishing Co.
Wicker, B. et al. (2003). Both of Us Disgusted in My Insula: The Common Neural Basis of Seeing and Feeling Disgust. Neuron 40 (3), pp.655-664. Winston, J. S., O’Doherty, J. and Dolan, R. J. (2003). Common and Distinct Neural Responses During Direct and Incidental Processing of Multiple Facial Emotions. Neuroimage 20 (1), pp.84-97. Wood, R. E. (1999). The Dialogical Principle and the Mystery of Being : The Enduring Relevance of Martin Buber and Gabriel Marcel. International Journal for Philosophy of Religion 45 (2), pp.83-97. Zizioulas, J. D. (1985). Being as Communion: Studies in Personhood and the Church. Cresswood, New York: St Vladimir’s Seminary Press. Zizioulas, J. D. (1991). On Being a Person: Towards an Ontology of Personhood. In: Schwobel, C. and Gunton, C. (eds.) Persons, Divine and Human. Edinburgh: T & T Clark, pp.33-46. Zizioulas, J. D. (1995). The Doctrine of the Holy Trinity: The Significance of the Cappadocian Contribution. In: Schwobel, C. (ed.) Trinitarian Theology Today: Essays on Divine Being and Action. Edinburgh: T & T Clark, pp.44-60. Zizioulas, J. D. (2006). Communion and Otherness. London: T&T Clark.